HAPPY NEW YEAR!!! I hope you find the success you are looking for in 2013! About a month ago I was challenged to read 100 books in a year. My first thought was, "Wow, I'm a slow reader, I could never do that." I got curious as to how many I have read so I wrote them all down. The count? 77! Including the 14 existing books from The Wheel of Time series, which are all huge books. Without shooting for a number, I'm pretty happy with that. Thank you, to the ten of you, for writing amazing works and for entertaining and educating me. I'm looking forward to the books I can read in 2013! I have Michael Vey 2 if you want to borrow it. Thanks, I have it! I'm reading A Memory of Light and will probably re-read Michael Vey #1 then follow up with #2. Great suggestions. Just added Drawing Out The Dragon to my "to read" list. Thanks! I'm not into novels now, but have read many when I was younger. I would love to recapture a love of fiction as stories are in our DNA. Impressive. I have a hard enough time keeping up with email! lol... O.K. I don't actually keep up with my email. I always carry at least that many with me! But they are on my IPad and hardly ever get opened. i thought the book by Stephen King "On Writing", was quite entertaining, considering it was about the craft of writing. a book i never thought someone like SK to release. I thought it was great, especially since I idolize the guy! Thinking of taking up your list for my resolution. Do you think using your list will be a good start for me? It depends on your readings tastes. What do you like to read? I was so busy I never got to check any of those out, but thanks for the recommendations. Happy new year to you too! We should all read more and watch TV less. I applaud you. 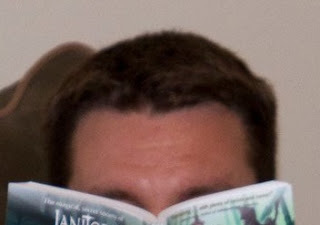 I read all of the Jack Reacher series in 2012, among other things. But 100 is a LOT! That is a s serious target, all good books on the lists. Have fun!!! That is an amazing feat, James. Thanks for sharing your list and reviews. I look forward to reading your recommendation and receiving your updates. I need to improve my writing and current events simply by reading more in 2013 than 2012. I've been saving the Wheel of Time series for when I retire. When I think of all those books, meh, I have so many other individual novels I want to read in my lifetime. Still, I've heard that series is worth the effort. I'm definitely going to check those books out for a change of pace. My current library is mostly specialty & collectable cookbooks, culinary non-fiction, and Asian-American non-fiction. (I was inspired by Amy Tan a while back, and I've been collecting books on Asian-Americans in late 19th - early 20th century America.) Being a published author has always been a dream of mine too, and I wish you success! I am sorry to say I have not read any of them. Great Info! I will have to pick a couple of those up. Thanks for a great list. I am always interested in great books on writing. Only have read Save the cat on the whole list, But thank you for the list! Thanks for the suggestions. I've been hearing more and more about the Wheel of Time series and getting closer to picking it up. Again, thanks! Great selections.. I must have to consider them for this year.. thanx for sharing !! I know I already said this, but now that I'm officially a blogger, I feel like I can comment. Yay for Eragon! And I know I need to read the Wheel of Time someday. Hey James! I loved Nightingale. And Save the Cat is on my TBR list. I read both "Save the Cat" and "On Writing" last year, too. They were really well done and Stephen King inspired me to work even harder on my craft. I read the first book in the Inheritance Cycle, but not last year. It was good and I'm not sure why I haven't finished the series. King says one must read a lot to be a good writer, it seems you're doing a great job.